Cubase users, the template you’ve been searching for has finally arrived. 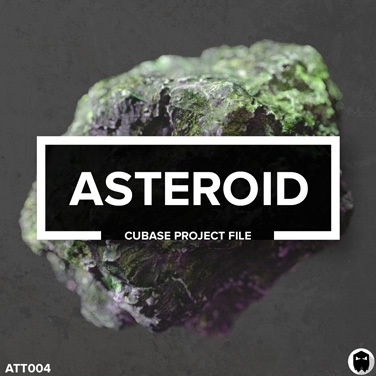 Welcoming Asteroid, an advanced project file for Cubase created using only stock plugins. Asteroid is a high-quality production that pushes the legendary DAW to its limits and beyond. Featuring cutting-edge processing and exceptional sound design, using Asteroid will reveal the hidden capabilities found within Steinberg’s ultra-powerful environment. Learn how Cubase’s native FX can transform your audio in unique and interesting ways. Study the innovative programming techniques used, and apply them in your future projects. Uncover novel production approaches that will help you to get the most out of your favourite sequencer. • Learn sophisticated processing strategies that get the most out of the effects inside Cubase. • Develop a better understanding of Cubase’s workflow. • Discover unique and imaginative uses of compression. • Reverse engineer the pro-level mixing techniques used to create Asteroid’s dynamic soundstage. • See how intelligent instrument groups result in a polished and punchy mix. To be able to use this project file you will require Steinberg Cubase Pro v9.5 or higher for PC or Mac.